Doing Time Outside refers to the painful and difficult period of time spent by a family member or friend of a person incarcerated in a correctional facility. Without this explanation, the title doesn’t quite do Ginnah Howard’s second novel justice. Standing alone, it fails to portray the poignancy or the depth Ms. Howard has reached with her no-nonsense, in-your-face prose. 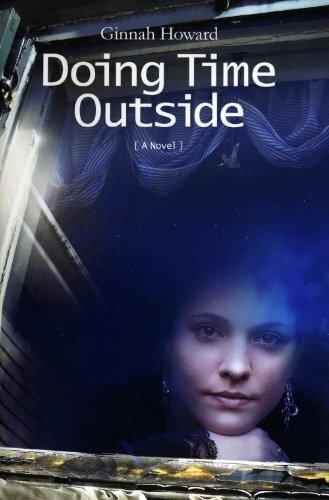 As in Ms. Howard’s first novel, Night Navigation, Doing Time Outside takes a gritty honest look at dysfunction, drug addiction, and mental illness, clearly showing the effects on each family member. Although her writing style is a touch light on description, she easily manages to create a world deep and rich in its complexities simply by the strength of the voice of each of her characters. Ms. Howard carves a slice of time out of the Morletti family’s world. Each individual—mother, son, and daughter—is in some way damaged; each individual is in some way brimming with resilience. Reality has compromised Carla’s hopes for her son, Rudy. Rudy has been arrested—again. This time it’s for assault with a deadly weapon. Tess’s love for her family would be a hell of a lot easier if she lived a hell of a lot further away from her mother and her brother. And when Gramma DeLuca, Carla’s mother, is thrown into the mix, the family dynamics really begin to pulse. Gramma DeLuca’s prayer beads are worn right down as she worries over her grandson while she recuperates from chemo. Ms. Howard writes as if she’s creating a mosaic—laying down each piece of stone as snippets from life—each snippet being told from a different point of view until an image of a family is slowly created. The final image isn’t always pretty, but it’s intriguing and charming, and formed with humor and love. The story, which revolves around Rudy, is really about the conundrum of family. Rudy is never quite to be trusted. But just when all seems lost, he shows glimpses of pure kindness and humanity, keeping that balance between likable and dislikable, hope and pathetically beyond help. Rudy takes in what’s left of her charred black wig smothering in the kitchen sink. Doing Time Outside is an emotional and engaging slice of life. It’s well worth doing time with this family.